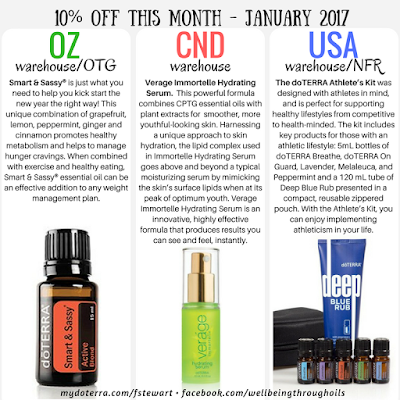 Here are some of the promotions this month at doTERRA, you can contact me for further information as there's some special promotions, not listed below, for USA and Canada, which I will be happy to tell you about. First off, this fabulous promotion has been extended to the 15th of this month. 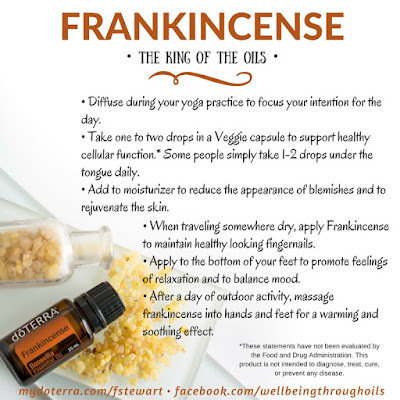 This is some of what Frankincense can be used for. It's a fantastic "all rounder" and "amplifier"
an overview of the various promos this month. 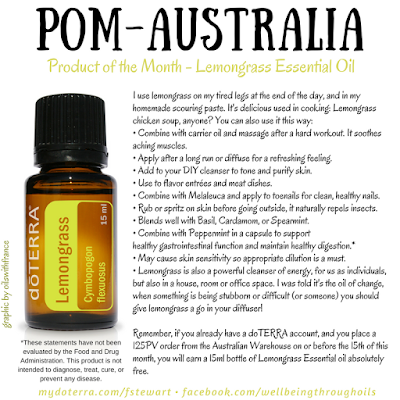 the POM is for wellness advocates (i.e. 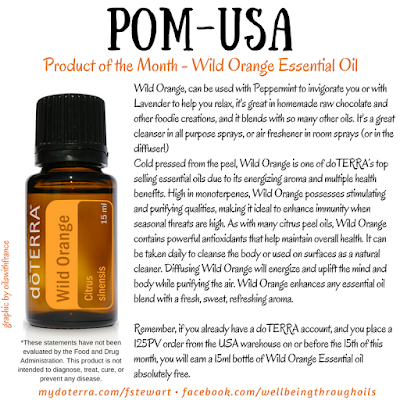 doTERRA members) on the Loyalty Rewards Program when the order is 125PV or more. 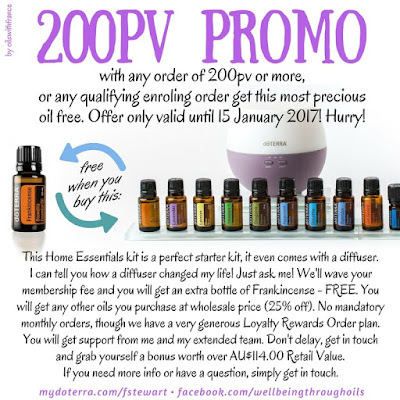 and a bit of info for people purchasing from the USA warehouse this month or from the Canadian warehouse, for Loyalty Rewards Orders of 125 PV or more. 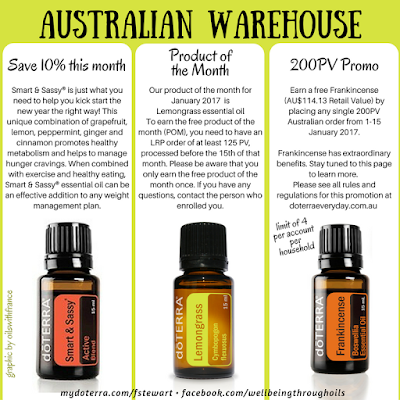 Highlighting the 10% off products from the Australian, Canadian and American warehouses. I also conducted (involuntarily) a social experiment at work on Friday :) nothing sinister, just that the mood was gloomy and I put my oils to the test. To find out how it turned out why don't you come over and watch my little video on Facebook, and read the short blurb.... and my makeshift diffuser! Always happy to answer your questions and I'm promising you support when you join through me. There's nothing I hate more than hearing someone "enrolled on a site somewhere and never heard back from the person they joined with" - this will not happen when you join with me! Cheers, and as always, thanks so much for spending some of your time here!